We’ve all seen rainbows. 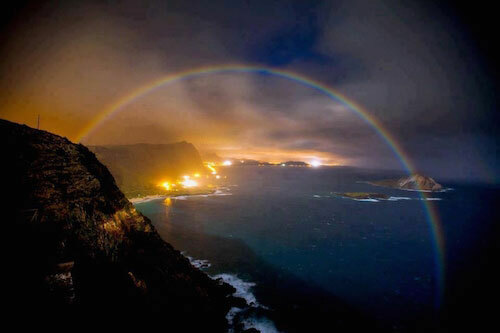 But have you ever seen a moonbow? 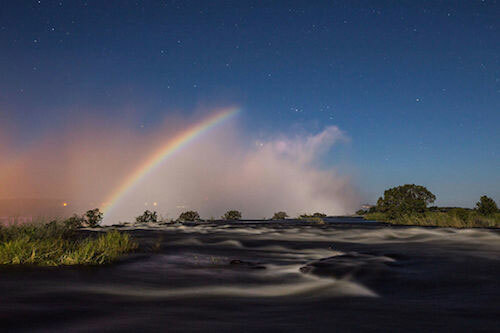 This rare phenomenon, also known as a lunar rainbow, occurs at night when light from the Moon illuminates falling water drops in the atmosphere. 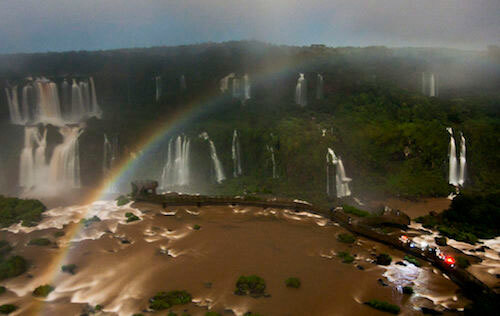 Sometimes the drops fall as rain, while in other cases the mist from a waterfall provides the necessary water. 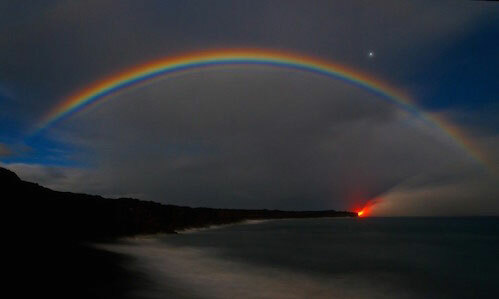 Rainbows are fairly common and can be seen anywhere in the world, as long as the sun is above the horizon behind the observer and there are water drops to disperse sunlight into its various colors. 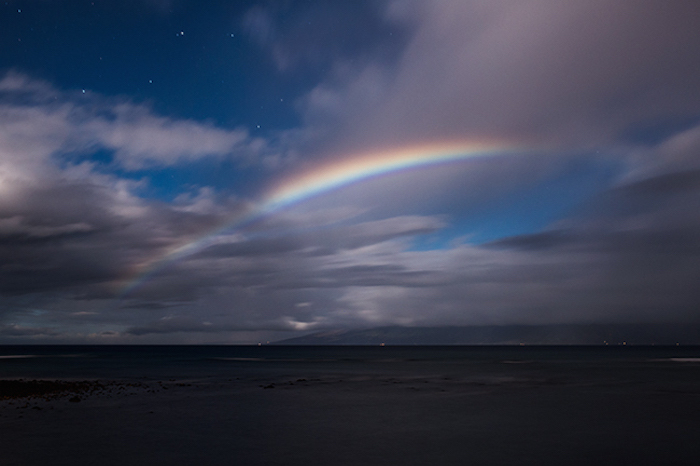 Moonbows, on the other hand, are very rare, and several conditions have to be just right for one to occur. First, there must be a full or nearly-full Moon. Next, there must be a mostly clear sky with very few or no clouds between the observer and the water drops. And lastly, there must be a very dark sky, with no artificial light. 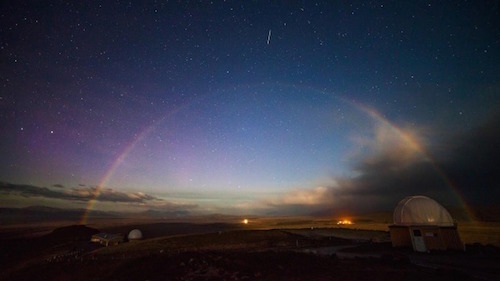 Light pollution in the form of skyglow overwhelms the faint light of moonbows.